Sorry for the wait, but here are the answers to Volume 12 of the Droid Life Q&A Sessions. We answered a few on last week’s show, so if you’re looking for even more personal thoughts from us on some of your inquiries, then be sure to watch that. There seems to be a lot of people curious as to what we can see at this year’s Google I/O. To be completely honest, that is what makes it such a great event. We go in, thinking we have some good clues as to what we can see, and then Google always surprises us with new goodies. It is always the numero uno Android event of the year. There is a good handful of other topics discussed inside, such as our favorite smartphone cameras, which apps we use the most, as well as which features we might like to see kanged from various OEM skins and baked into Android. But enough talking, let’s get to it. Reminder: K is Kellen, T is Tato, R is Ron, and E is Eric. What features would you like to see “stolen” from various OEM skins (Sense, TouchWiz, Blur) and baked into future iterations of Android? R: I’d like to see SmartActions from Motorola and the flippy clock widget from HTC. T: As far as features go, the only thing I would want taken from various skins are some of the camera software from TouchWiz and Sense. Other than that, I don’t find anything found in them to be useful or necessary. Although, I could see the multi-window stuff being useful from time to time, but when I was using the Galaxy Note 2, I used it rarely. K: Take Highlights from Sense 5.0 on the One and give to every other phone. Better yet, just take all of the camera software from HTC and make it available to all phones. Samsung does some similar stuff in TouchWiz with the camera, but HTC does it so much more elegantly. How much do you enjoy/hate the fanboy vs troll battles that erupt in the comments at times? R: It used to bother me more. The reality is, everyone has an opinion about smartphones and technology, but there are more important things to care about. I’m passionate about technology, but I don’t want to find my value in whether or not people like or agree with me. T: I find it disheartening that people can be so unreasonable in allowing a person to live however they choose. Our reality of freedom to do as we choose and buy as we choose is continuously questioned by others and it is at times frustrating to say the least. I am pretty sure I have never and will never give someone a hard time for buying a certain kind of smartphone. Instead, isn’t there something more important we can talk about? E: It happens, that’s why we’re all reading this website. We love our Android. The fights between the Galaxy Note II Cult and the X Phone cult is just banter. We’re all on the same side here and if the time comes that we need to join the tribes together to go to war, I’m sure everyone will answer the call. Final predictions for Google I/O? T: Google Glass. Google Glass. Google Glass. 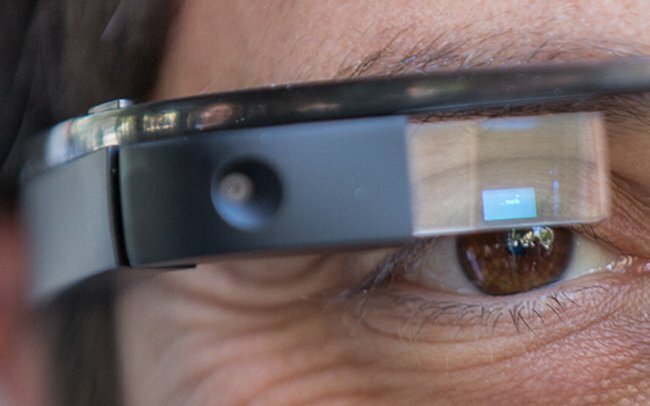 I am almost certain that everyone that is to take the stage at I/O will be rocking Glass. Other than that, I expect to see a new Nexus 7, a new version of Android, redesigned Gmail application for Android, Google Babel, and a new version of Google Music. Please and thank you, Google. K: I think we’re going to be overwhelmed by Glass. There will be Glass everywhere. Sure, Android will have its place with Babel and other new Google Now features, but Sergey will be in the building trying to sell every developer and media person on Glass. E: Babel (BAYBEL), sneak peek of Android 5.0, lots of Google Glass, revamp of the Nexus Q and they’ll make it into a Google TV device. Do you think the Nexus 7 and the Nexus 10 will be upgraded/refreshed any time soon? R: Maybe the 7. The 10 might not be refreshed until the end of the year. T: The Nexus 7 was the first vanilla Android tablet to really take off. If they don’t introduce a new version with updated specs, they’re shooting themselves in the foot. I couldn’t care less about a new Nexus 10 device, since the size alone turns me away. I like more easily portable devices. K: I would be surprised if Google didn’t refresh the Nexus 7 at I/O in 2 weeks. The Nexus 10 on the other hand, is still too new to already pump out something new, unless they create an HSPA+ version to be sold next to the WiFi model. I doubt we’ll see a completely new Nexus 10, though. E: Nexus 7 will be getting new specs at I/O this year, but the 10 hasn’t been out for too long so I’m not sure about that one. What is your favorite food/meal? R: I grew up with a Pizza Hut right behind my house when I lived in Michigan, so surprisingly I love a good pizza (usually not from Pizza Hut). T: Well, my yearly birthday dinner consists of fried chicken, mashed potatoes, and Brussels sprouts with bacon. If I’m going out, it’s all about the steak dinners with a nice gin cocktail on the side or a fabulous big bacon burger. K: I have an addiction to fine steakhouses and premium burgers. Burgers are always going to be king between the two. I’ve had just about every burger worth having in the city of Portland. The Tasty Burger from Tasty N’ Sons is probably top 3, as is the burger from Gruner. If you want something simple and cheap that’s also insanely good, you can’t go wrong with Little Big Burger (and their damn good truffle fries). E: Cheesecake and I have a bond that is impossible to put into written words. What app do you use the most? R: Evernote, Email, or Twitter. Depends on the day. T: I am on Instagram quite often these days, but technically I should say Nova Launcher since it is on all of my phones by default. Beyond that, I am a Gtalk addict and Gmail fiend. K: If we aren’t counting Google apps, I’d say Instagram and Feedly or Press. For work, I need to check RSS feeds religiously, but to kill time and not have to think about a thing, Instagram is my vice. E: Still rocking the Twitter for Android. Haters gonna hate. What’s your favorite smartphone camera? R: I haven’t tried the HTC One or the GS4, so I really can’t say. What I will say is this new obsession with low-light photos from manufacturers like Nokia and HTC needs to be worked on quite a bit more. The HTC 8X, for example, takes in more light than the average smartphone camera, but a light source also tends to get blown out of proportion. I preferred the last generation of cameras (like on the S3) to this current crop that I’ve spent time with. T: Last year it was the HTC One X, then it was the Galaxy Note 2. Now, and don’t shoot me, but it’s the HTC One. Talk about the pinnacle of Instagram-friendly cameras. I absolutely love it. And please, don’t talk about megapixels to me. The cake is an absolute lie. K: Tough question since they all have downsides. HTC One camera is the most flexible, but the Galaxy S4’s camera takes pretty amazing pictures in great light. Neither have Photosphere though, like the Nexus 4. Hmm, it’s just not so black and white like it was when you jumped from the OG Droid to the Incredible. Anyone remember that experience? I’m a terrible person – I really don’t have a favorite. E: Well I’ve had the Galaxy Nexus camera for the last year and a half which is probably one of the worst cameras ever put into a phone, so the One X camera that I’m using now is a Godsend.